MILabs are dedicated in delivering the game-changing high performance pre-clinical imaging systems. 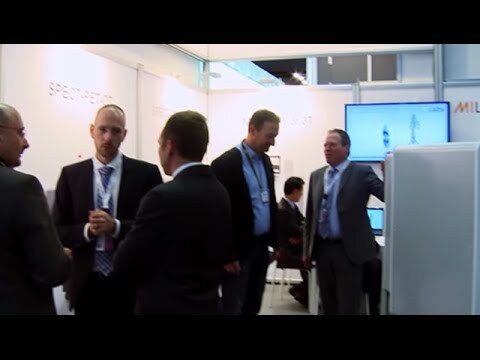 They provide a whole range of highly reliable preclinical single or multi-modality imaging systems (SPECT/PET/CT) with unsurpassed resolution, speed and sensitivity. Moreover, the platform is fully scalable, thus fully exploiting the synergies between modalities. By selecting the appropriate combination of modalities, fused using both hardware and software registration, one can be assured that the whole system will be greater than the sum of its parts. 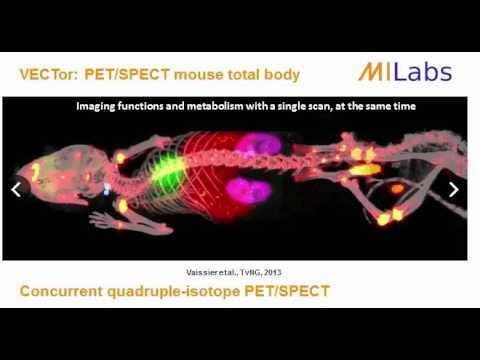 MILabs offers any standalone or integrated combination of PET, SPECT, OI and X-ray- CT.
MILabs new adaptive PET technology yields < 0.6 mm uniform spatial resolution, unrivalled by any other preclinical PET system. With a molecular sensitivity better than coincidence PET and improved spatial resolution, U-PET’s patented Adaptive Stationary Clustered Pinhole PET (SCP-PET) outperforms other preclinical PET designs for a wide range of preclinical imaging applications. It provides an excellent organ- or tissue-specific and whole-body time resolution (0.1 s to 8.0 s) with uniform resolution and S/N across the full selected region of interest. It has unique sub-mm imaging capabilities for high energy isotopes including radio-therapeutic isotope, i.e. <0.55 mm for 131I, <0.6 mm for 67Ga and <0.7 mm for 213Bi. With sub-mm resolution and improved S/N characteristics, U-PET enables accurate quantitation at the organ substructure level in mice and rats. Performance will not be affected by co-injected SPECT tracers, making it possible to expand applications beyond the capabilities of conventional coincidence-based PET. MILabs SPECT system provides best in vivo SPECT resolution in the market of <0.25 mm, thus enabling quantification of dynamic processes in tiny sub-compartments of mouse organs and tumors in vivo. It is one of the fastest- 8s for total body and 0.1s for organ, which enables the user for accessing fast pharmacokinetics. The system is equipped with best sensitivity <0.25 MBq (~7 μCi) total body SPECT and patented robust stationary SPECT detector design ensuring unprecedented reliability, virtually no down time and very long system life. The user can perform single as well as multitracer SPECT scan at a time. It provides accurate data due to advanced correction methods for scatter, attenuation and partial volume effects. 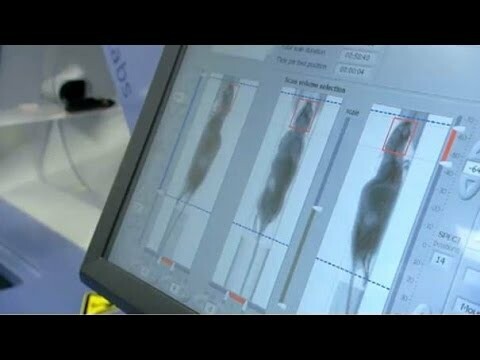 MILabs U-CT is very fast and offers ultra-high resolution scanning at low x-ray doses making it possible to handle demanding multispecies 3D/4D in vivo applications, including dynamic contrast-enhanced CT imaging. 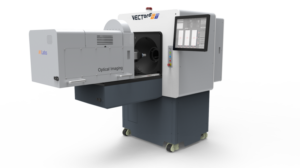 With voxel resolutions down to 2.5 μm, the U-CT system is also suited for many ex vivo applications including MILabs exclusive Exirad-3D SPECT/CT technique. The system has the capability to perform ultra fast whole body scan in less than 3.5s and at a radiation dose of less than 2 mGy. Due to presence of bigger FOV, several animal models including rabbit can be scanned. The system is further upgradable with PET, SPECT, bioluminescence and fluorescence, including NIR & Cherenkov imaging.